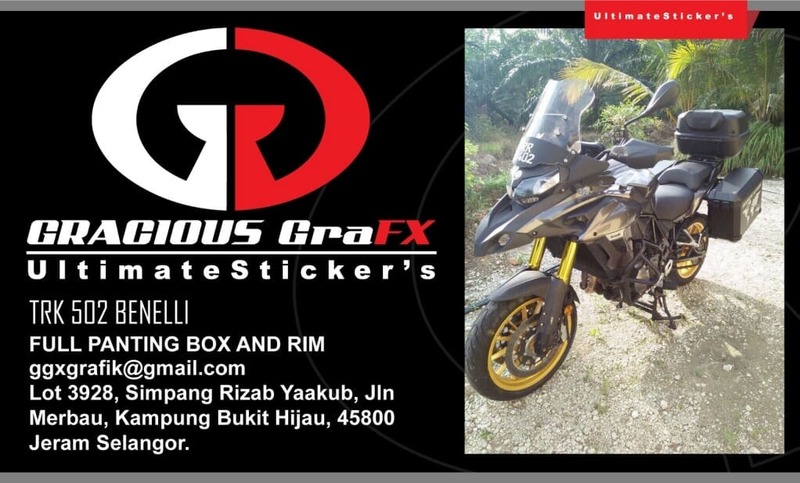 Gracious GraFX or formerly known as Putra Stickers is based in Jeram, Selangor (Malaysia) and it is owned by Azizi who is an UNISEL graduate. Apart from rims painting, Azizi offers custom stickers design, helmet painting etc at a affordable price. He has worked on different types of motorcycles and his end result work is excellent. All you need to do is discuss with him on your ideas and I’m sure he can work out something for you. Why does he charge cheap? 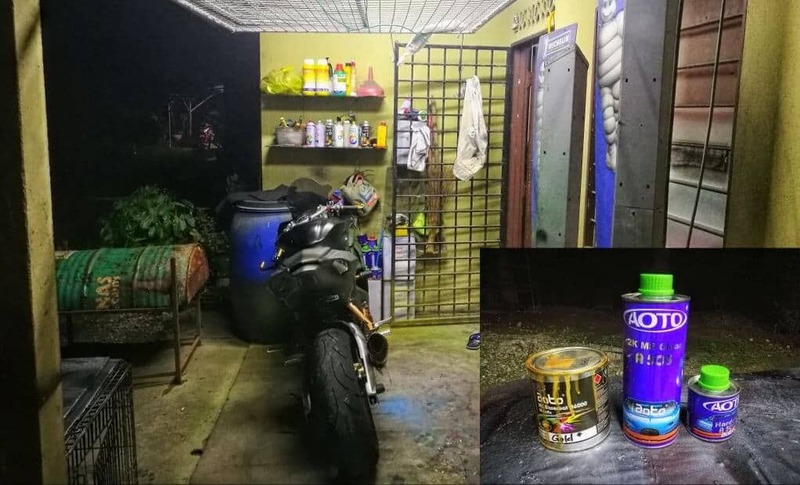 He doesn’t own a shop and his mini garage is located just at the back of his house and therefore, he doesn’t need to pay for shop rental, manpower etc. He can produce his work at a fraction of the cost compare to those who does it in a shop. How is his work quality? EXCELLENT! I have no other words to describe. For the price that I paid, I am very happy. Perhaps you can have a look at his work in his album gallery here. How does he do the painting job? He uses gun spray and often finishes it off with coating. Is it difficult to find his house? Honestly, if you navigate via GPS using Google map etc, you will be arriving at his house. The issues that many had was, since his house is located in a rural area, they often think his place does not exist. 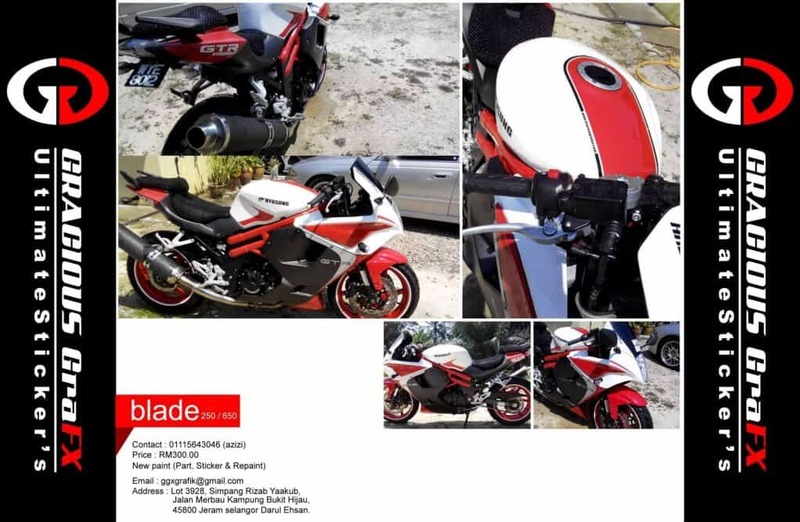 You can Whatsapp Azizi via +6 017 665 8500 and do mention that you was recommended by Rider Chris. Whilst I don’t get a penny recommending his service, at least he would know you are a genuine customer. Address: Lot 3928, Simpang Rizab Yaakub, Jalan Merbau Kampung Bukit Hijau, 45800 Jeram Selangor Darul Ehsan. If you have any questions, drop them at the comment box below and if you find this post is useful, please share it via the social buttons.